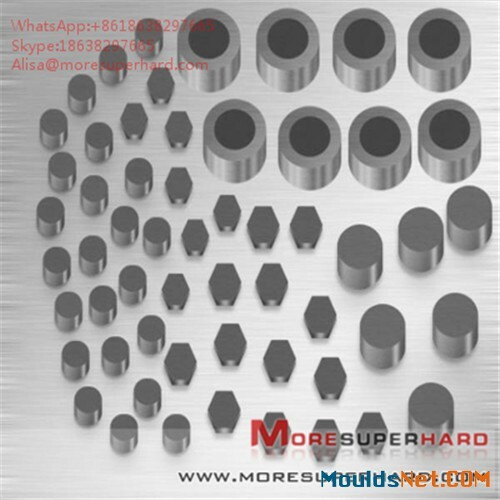 1.Special design of taper shape makes the tungsten carbide supported diamond die blanks easy to distinguish between the inlet and the outlet. 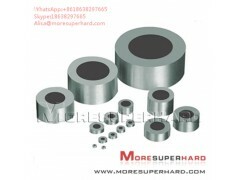 2.The alloy ring can protect the material to enable it to bear larger impact. 3.The large external diameter of the alloy ring can provide enough centripetal bearing force for diamond&enough resisting force against wire drawing. 1. The steel mold is sufficient for soft metal (such as gold and silver). The steel mold can have multiple holes of different sizes. 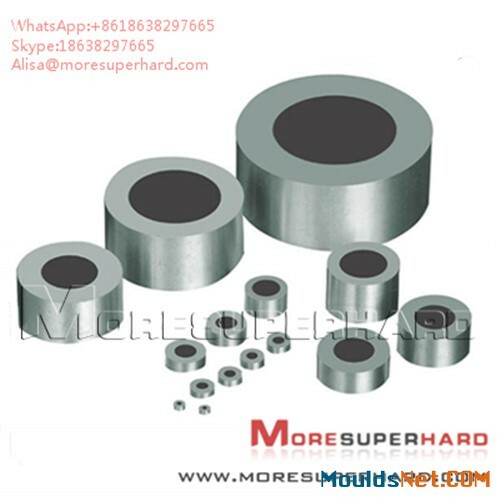 2, hard alloy die - drawn wire (steel wire) generally USES hard alloy moulds (Tungsten carbide nib), the typical structure of the mould for a cylindrical (or with a slight taper) of cemented carbide mold core closely embedded in a circular steel bushing (case), the mold core in the inner hole Bell mouth radius, (Bell), the inlet cone (Entrance angel), deformation (work) cone (approach Angle) and sizing of all (bearing) and outlet Angle (back relief). 3. Steel wire molds -- non-ferrous metal wires, such as copper and aluminum, are mostly used with drawing molds similar to steel wire molds. There are some differences in the shape of internal holes. Polycrystal molds - fine thread can be used to polycrystal molds (artificial diamonds), as well as drawing molds using natural diamonds. Carbide for drawing die is carbide - cobalt alloy with low co content. It has good abrasion resistance, impact resistance, polishing and corrosion resistance. It is easy to repair and cheap.The research shows that by improving the composition and structure of cemented carbide, controlling the fluctuation value of carbon content and refining the carbide particles, the properties of the material can be improved and the service life can be extended.At home and abroad, hot isostatic pressure (HIP) treatment, ultra-fine grain technology and addition of rare earth elements are adopted to reduce porosity, refine grain, improve alloy hardness and reduce friction coefficient.The diamond film or titanium nitride coating is formed on the surface of cemented carbide by chemical vapor deposition (CVD) and physical gas deposition (PVD) to improve the surface strength of the alloy. Natural diamond, commonly known as diamond, is the hardest material in nature, with high abrasion resistance and heat conductivity. It can improve the surface quality of the silk material, improve the properties and size accuracy of the silk material when used for stretching tungsten and molybdenum filaments.However, it is very brittle, poor impact resistance, and hardness of anisotropic, easy to do drawing die wear.In addition, diamond is scarce, expensive and difficult to process, so it is limited in stretching and thick silk. Synthetic diamond, also known as polycrystalline diamond, is a polycrystal formed by the non-directional polymerization of many single crystal particles. It has high strength and hardness, strong impact resistance, uniform properties and good comprehensive performance.In drawing and filament, the service life is higher than that of diamond die and cemented carbide die.However, the grains of artificial polycrystalline diamond are larger and difficult to polish. The surface finish of stretched filament is not as good as that of natural diamond.By refining the grain, the polishing performance can be improved, and the natural diamond can be replaced on the drawing die of medium and fine wires, which greatly reduces the cost and improves the product quality. 2. ADDMA: American Diamond Die Manufacturers Association.